Fill the FORM above to join the club, if you are a GTX 770 owner, this thread will be good to share information about Overclocking, BIOS Modding and Performance Tweaking . I currently have x2 MSI Gaming N770 TF, and they're freaking awesome in SLI!. Boost is disabled with this feature you should achieve a better OC and high core clock. for some users it may be making much difference because each GPU Chip has they own potential OC capability it does apply to any GPU class, and brand. 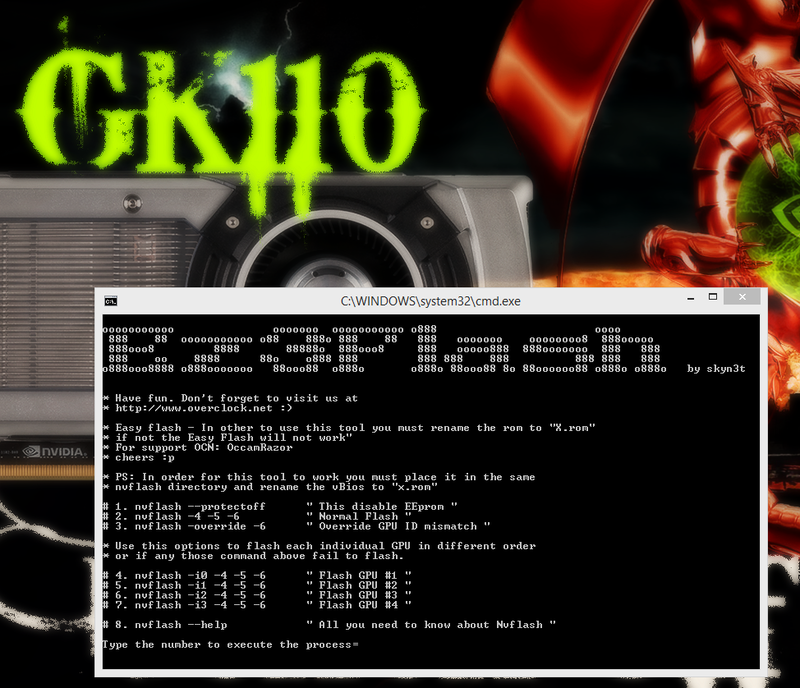 If you are not familiar with Nvflash command Skyn3t has created this little tool to help anyone flash their BIOS easily. Just read the instructions, follow the steps, and you should be fine. Below is a quick screenshot to show how it looks like.